LaPorte High School has added a new performing arts Dance Choreography class starting this school year. This course offers something different from the typical class at LPHS. Students are learning about the art of movement while getting active at school. “The purpose of this class is to learn elements of choreography so you can create your own dance,” Mrs. Tenbusch, new dance teacher, said. LPHS hit the jackpot when looking for a teacher to take on this new venture. Tenbusch has devoted her life to dance since she began taking lessons at eight years old. At 16, she began teaching toddler and elementary aged students at the studio she studied at and found a passion in teaching dance. She attended the University of Western Kentucky and received her Bachelor’s degree in dance. Her favorite style of dance is tap dancing. She has been a professional tap dancer in Chicago for six years. “I was first with Chicago Tap Theatre, and I now dance with Chicago Human Rhythm Project and TapMen,” Tenbusch said. Dance Choreography requires physical activity and is much more hands on compared to other classes. Students have found this class to be a good break from normal classes. “It is more relaxing and gets my mind off of things,” Jasmyne Absher, senior, Poms and Dance team member, said. The class is focussed on the basic fundamentals of dance. They focus mainly on modern, contemporary, and improv in class. Dance Choreography is full of creativity, and each day there is something new to learn. If students are in the studio that day, they will kick off class with stretching to prepare themselves to dance. Some days they work on learning technique such as turns and leaps, and other days they work on learning dance phrases to help the class understand the elements of the choreography. The lessons in dance choreography are active and a whole different environment in the classroom, with a wide range of activities. “There are some days that we do improvisation exercises where we get to have fun and experiment with movement on our own. Days we are in the classroom, we often watch videos of concert dance and discuss what we see and how the dance made us feel,” Tenbusch said. This class gives students a chance to branch out and get up out of a desk. Students are even seeing a new side of themselves being unleashed through the expression of dance. “I think I have become more comfortable with performing in front of others since I always performed in groups,” Roziland McCoy, color guard dancer, said. Many students are finding this new course offering to be a great addition to the Program of Studies, especially for those with an interest in dance. “I do recommend taking this class if you are interested in dance and want to improve,” McCoy said. 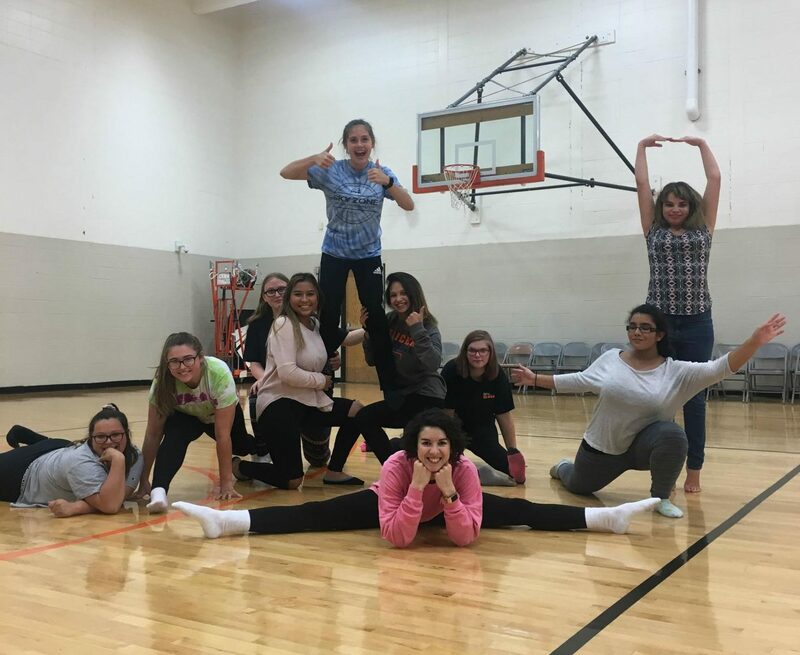 The dance class is helpful for students who want a chance to let loose and have a good time, but it also helps with some of the extracurriculars that LPHS offers. Kiara Dukes and Absher, from the LPHS Poms and Dance team, wanted to utilize this chance to improve for Poms. “I have slowly gotten back into dance and have always had a passion for it. We learn new types of dances, and it is something different from hip hop and the things at Poms,” Absher, said. As the semester progresses, the dancers will become familiar with the forms of dance that they are learning. The class is a fun learning environment, and it’s easy to see the students improve and become more comfortable with it. “I hope to see that I have better technique and to be able to make my own dances,” Dukes, said. Dance Choreography is a nice addition to the LaPorte High school. There are no prior requirements for the class, and anyone interested can add it to his or her schedule for future semesters.